The themes are less hard for me in this. I find the themes of this book guiding every scene I’m writing — themes of family, loss, grief, how we know what happened in our past, from recent to distant. Every time I start the mental path of charting out a scene, it’s bounced against these and a few other themes. If it doesn’t fit, it’s cut. When it does, I find the scene growing and moving in directions I didn’t expect prior to sitting down and writing that scene. Matt has two completed novels. 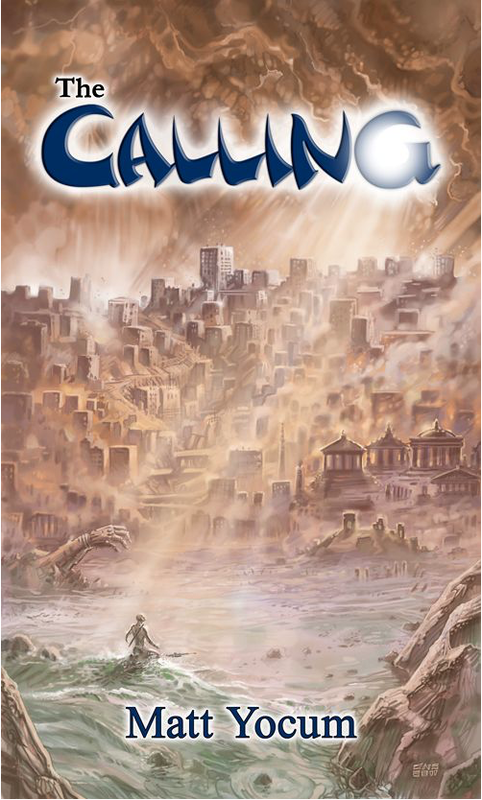 The first is a science fiction adventure titled The Calling. The second, HONOR, is a terrorist conspiracy thriller set at his alma mater, the Air Force Academy. Both books are available for purchase in Kindle ebook format on Amazon.com as well as the Barnes & Noble Nook and Apple's iBooks. Don't have a Kindle? No worries. Download the free Kindle app and read the books on your Mac, PC, iPhone, iPad, Blackberry, or Android device. His other work includes nonfiction books such as a college textbook for engineering mechanics used at the Air Force Academy as well as a daily Christian devotional that explores history, theology, and practical life lessons. Matt’s also published short stories and articles in Futures Mysterious Anthology Magazine and The First Line as well as other magazines and journals.